Register here. It's free to join. Post your job offers and find workers. 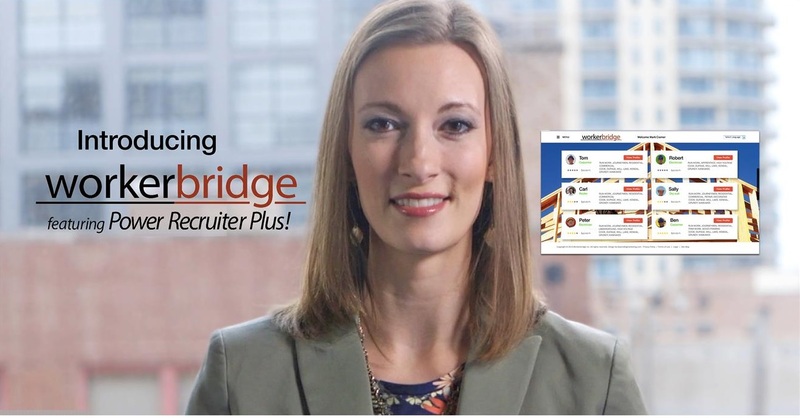 Power Recruiter Plus by workerbridge is a great way to manage your work projects and notify potential trade workers of your available positions Your subscription is only $75 per month and best of all, you don’t pay a penny until you’ve been notified of qualified candidates. Simply fill out your registration form and fill out your job request form. We’ll notify you with candidate alerts when we find candidates that match your project needs. If your search does not provide the trade workers you need, we’ll notify our recruiters to start a personalized search for candidates and notify you within 24 hours. FREE to join, EASY to use, and it WORKS! the right worker. Signing up is easy and free. Simply provide your contact information, and details on the jobs you are looking to fill and that’s it. Payment is not make until our system matches qualified workers to the jobs you are seeking to fill. Once we match a worker to your job you will be notified. You can then communicate securely through our system. After you hire the worker and complete the job, you can rate your worker. This helps other employers with their hires in the future. In addition, you can read reviews on workers that may match the work you have to offer. Click the link to complete your free profile and start finding workers for your jobs today!